Temple Beth-El is supported by a Board of Trustees, who serve as our modern equivalent of kohanim. Paul has been involved with Temple Beth El for over a decade in various capacities. 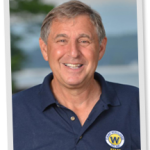 Paul has dedicated his extensive experience in jewelry, the arts and business management to his passion of building community on City Island and beyond. By day, Paul works as a professional jeweler and owns Kaleidoscope Gallery on City Island; Paul creates the Temple’s signature logo sailboat “Star of David” as a piece of jewelry. Paul also serves as Vice President of City Island’s Chamber of Commerce and is deeply involved in promoting City Island and the Bronx. Paul has lived on City Island since 1994 with his partner, Bill Rainford. Originally from Baltimore, Paul earned a degree in business from the University of Maryland. Jodie was born and raised in Yonkers, New York, attended local public schools and continued her education at the University of Miami. Jodie’s background includes management of real estate portfolios; she currently serves as site manager for affordable housing in the Bronx. Jodie lives with her spouse in New Rochelle, with their dog and several cats who adopted them. Daniella, a trained CPA, brings to TBE a lifetime of spiritual seeking, learning and teaching. Her past connections with Sefardic Orthodoxy in Israel, Catholicism, Buddhism and the Yogic traditions flow through her and shape her deeply spiritual approach to a living Judaism. Among Daniella’s numerous spiritual commitments is her advanced Yogic practice, which she shares with TBE as Patreesha Sat Indur Kar as part of the community’s Yoga Mondays and Embodied Spirituality healing workshops. 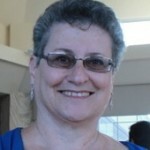 Elaine joined Temple Beth-El in 2002 and joined the Board of Trustees in 2010. Originally from Brooklyn Heights, Elaine moved to the Bronx in 1991 and to City Island in 2001. After teaching elementary school for almost 35 years, Elaine retired in 2000 and now tutors at a regional tutoring center. A passionate ballroom dancer, Elaine competed nationally for eight years and taught dancing classes. She also enjoys theater, music and spending time with her grandson. Barbara has been members of TBE for over a dozen years. She and her husband, Carl z”l, were moved by TBE’s open hearted, open minded spiritual community. Having always wanted to be a helping professional, Barbara earned her M.S.W. from Hunter College and two post-masters clinical certificates. 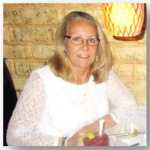 She has been in the private practice of psychotherapy for adults and couples in Manhattan for over 25 years. Barbara has passions for music, gardening and visiting with family and friends. She has studied the piano for over 20 years and wishes to expand her repertoire into Jewish music of all types. 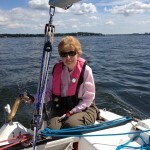 Involvement with TBE has brought new frontiers to Barbara’s life. Her spiritual quest found a home in TBE that encourages all to accept the truth of what they feel and know. Barbara feels that it is an honor and a privilege to serve on the Board of TBE. She looks forward to building a meaningful future for TBE together with the other Board members. Violet came a long way from St. Louis (with a short stop in Larchmont) to City Island: she fell in love with City Island as soon as she reached the middle of the bridge. Her family of five daughters and three stepsons keeps growing with 15 grandchildren and three great-grandchildren, nine of whom are native “clam digger” City Islanders (well, almost: they were born in a hospital). Of the 15 grandchildren, nine live elsewhere in the Bronx or across the country. Violet retired after teaching for nearly 40 years. Locally Violet is involved with the Hutchinson River Project and Friends of Pelham Bay Park. As a Christian, she believes that God loves and hears everyone’s prayers no matter how they worship. Violet was drawn to TBE when one of her grandchildren died: a friend put his name on the TBE memorial list to be prayed for each Friday night for a year. She came and continues to come because it is a blessing for Violet to be in and serve this holy place. 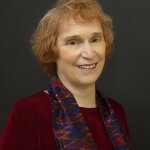 Helen grew up in Mount Vernon and attended Skidmore College, where she graduated with a B.Sc. in Nursing. She then earned M.Ed. and Ed.D. degrees at Teachers College in New York. She taught for 38 years at Lehman College and ran its Pediatric Nurse Practitioner Program. After retirement, Helen worked part-time as Nurse Practitioner at Mount Vernon Neighborhood Health Center, and volunteers as docent at the Bronx Zoo. Helen and her husband, Bob, a physician, have three daughters and six grandchildren. They have been members of Temple Beth El since 2012. 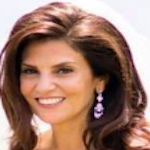 Rachel comes to TBE from Jewish Orthodoxy in Connecticut and from the Stark Family of City Island, whose David Stark she married in the mid-2010s. Rachel graduated from Clark University in Massachusetts, and received post-graduate training in mental health counseling from Gallaudet University (Washington, D.C.). 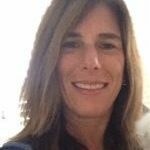 Rachel has worked as a counselor and American Sign Language interpreter in numerous contexts including schools for the deaf and hearing impaired. Rachel is a mom to several children who are becoming adults faster than she can believe. Helaine comes to TBE with an active Jewish life rooted in both New York and Florida. 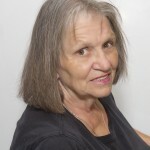 Retired as an elementary school principal in the New York City schools, Helaine presently teaches in the education department of Touro University. Helaine and her husband, Brent, are the parents of twins Max and Rose, and share a blended family of children and grandchildren. Helaine earned her B.A. and M.S.Ed. from Long Island University, and her M.S. and Ph.D. from Pace University. Bart Sobel found TBE as part of rediscovering his Jewish spirituality. Residing in Manhattan with his wife, Lynda, Bart continues an 80-year family tradition as director of Camp Winaukee in New Hampshire. Previously Bart was a professor of education at UNC-Chapel Hill, specializing in educational philosophy. In his “spare time,” Bart is a storyteller and marathoner; his first book is in the works. Bart earned his undergraduate degree at the University of Wisconsin and his Ed.D. from Boston University.